Super Eagles coach,Gernot Rohr, has explained that Odion Ighalo was called up for the team’s 2019 Africa Cup Nations qualifying double header against Libya due to his consistent scoring form in the Chinese Super League for Changchun Yatai. Ighalo has scored 20 CSL goals for Changchun Yatai so far this season, but has barely been impressive for the Super Eagles after the 2018 FIFA World Cup qualifiers. “He had a difficult World Cup, which was not so easy for him, but he is doing well for his club having scored over 20 goals – it was a good reason to invite him. “We can also play like we did against Iceland with two strikers, where we lined up Ahmed Musa and Kelechi Iheanacho. “We also have Henry Onyekuru who plays for Galatasaray. 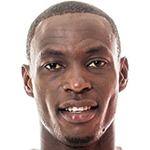 He scored a fantastic goal against Liberia. So we are good in that area. “Also the spirit of competition is now there in the team. Rohr who is targeting his first home win the AFCON qualifiers having lost to South Africa last June also gives a strong incline that Paderborn left back Jamilu Collins could make his official Super Eagles debut against Libya on Saturday after closely monitoring him at his German club. “Collins is interesting for us. He has the qualities to play very well for us,” Rohr remarked. “It is not just because he has a good left foot. He has a good physique. He is quick, he can go forward and he is defensively strong. “Two, three years ago, Paderborn were in the Bundesliga and they now want to come back (to the top flight). They have a really strong team. 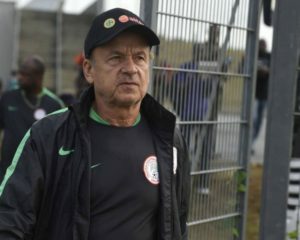 However, Rohr admits that competition for the left-full-back position is open in the absence of Elderson Echiejile, who has yet to secure a new club. Ola Aina and Bryan Idowu are the other left-back options available for Rohr.